This website provides information about the ESABASE2 Space Engineering Analysis Tool, which was developed by etamax space under several ESA contracts. The software kernel is based on the former ESABASE Unix-Version, which now has been integrated into a state-of-the-art (Windows-) PC-based framework. In space-system design, many different engineering disciplines must be applied to derive the requirements and analyse the behaviour of the system. ESABASE2 is a software application (and framework) for space environment analyses, which play a vital role in spacecraft mission planning. 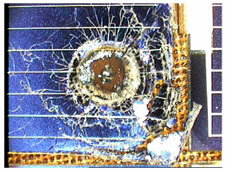 As an alternative to using our tools, we offer to perform risk assessment for space debris and micrometeroids on a contract basis for industrial or institutional users. Release 10 of ESABASE2 available!